Finding it hard to think of something to take home from your travels? Forget your typical souvenirs like socks and t-shirts and consider these 10 beautiful handmade gifts that you can buy during your trip to Seoul! 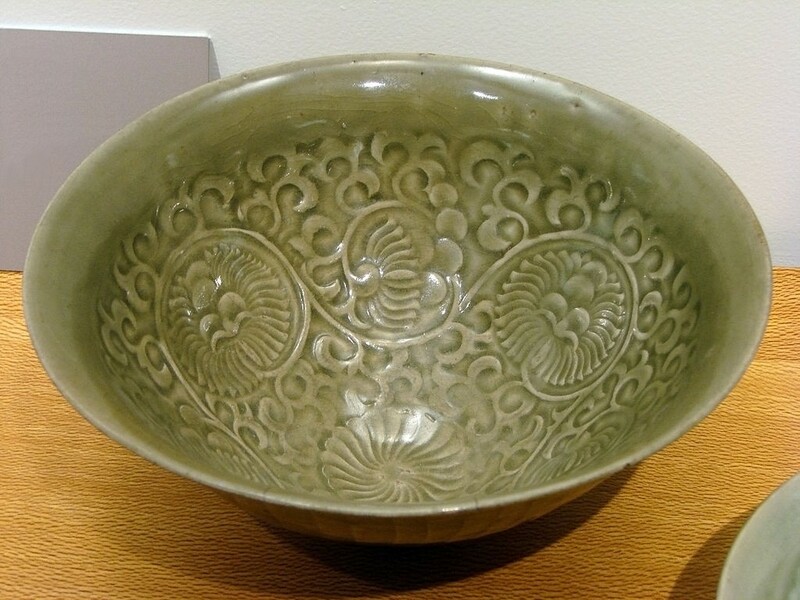 South Korea has been a proud exporter of chinaware for centuries and the iconic mint green celadon technique is considered a national treasure. There are various places in Seoul where you can pick up first-class handmade chinaware. Prices may be on the higher side but these beautiful ceramics are a memorable gift. Prices range anywhere from $10 to $100 depending on quality. Have you ever wanted to create the perfect fragrance? There is a place in Seoul where you can do just that. Create your own unique scent at PROUST. This lovely store and cafe sells perfumes and scented candles but also offers guests the unique opportunity to create their own scent. For around 10,000 to 35,000 won, you can go crazy at DB Story in Seoul and design your own cellphone case. Choose between countless beads, pearls, characters, colors, glitter and anything else you can think of to make your one-of-a-kind phone accessory. Not only are these cases a super cute handmade gift but it’s also a fun way to spend an afternoon. Paper making is very old tradition in South Korea and there are various passionate artists who work hard to keep this art form alive. If you fancy trying it for yourself, why not take a hanji making class? You can simply book a tour and make your own paper lamps. They are not only unbelievably cute but also make for a perfect gift. For those who are looking to give the taste of Korea as a gift, this makgeolli making class is a winner. Makgeolli is a Korean wine made of rice and is hugely popular all over the country. Makgeolli Mamas and Papas have created an English language Makgeolli brewing certificate course where you can make your own brew and take it home. It’s cultural, easy and a lot of fun! Heavily influenced by Confucianism, Korean paintings are a popular gift for tourists from around the world. While there are many prints available at local markets, you can still find the unique handmade paintings passionately created by local artists. The best place to purchase one of these unique gifts is in the Namdeamun and Dongdaemun areas. Traditional Korean dress, Hanbok has a long tradition. 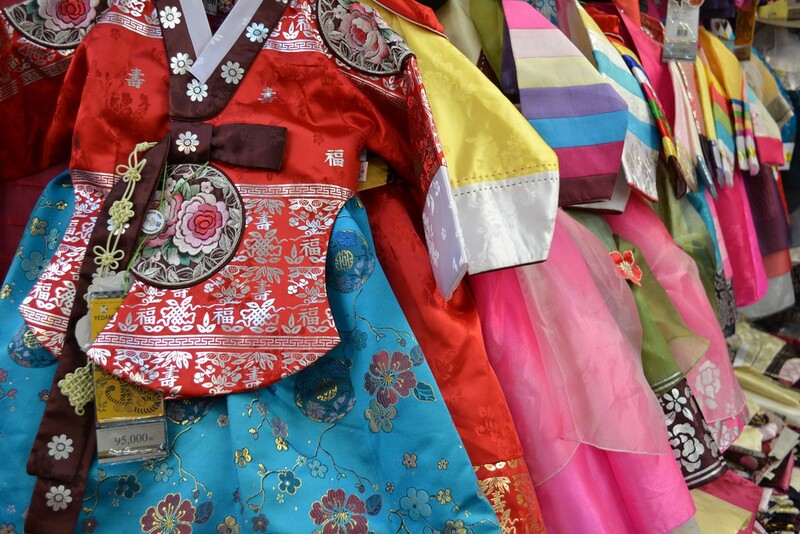 Many people, young and old, still wear hanbok on special holidays and occasions such as weddings and birthdays. These delicate pieces of clothing are handmade and their is an option to suit all budgets. Find your favorite pick at Dongdaemun Shopping Complex. Different to hanji, dak paper is another popular form of paper craft in South Korea. It is especially used to create sculptures or dolls. The paper is made from mulberry trees and is very soft so it is very easy to reconstruct facial expressions. Dak paper has been used for doll making for centuries. The dolls look absolutely adorable and wear a Korean traditional outfit. Take a class in making dak paper dolls and you have the perfect handmade gift from South Korea. Who says gifts cannot be edible? Head over to Jilsiru Tteok Cafe in the heart of Seoul and try your way through Korea’s culinary dessert culture. Made from rice powder, tteok, come in all shapes and colors and are chewy but delicious. Handmade from start to finish, the traditional desserts are a favorite with everyone. While they might look scary to some, tal are masks used in ceremonial and ritual events and were even part of battle uniforms centuries back. According to Korean shamanistic practices, the masks were used to drive away evil spirits. Today, there are only a handful of artists still making the masks from scratch. They are traditionally carved from alder wood, then lacquered to make them water resistant and then painted with various designs and faces. Pick yours up at the National Souvenir Center.